I’m not actually much of a sports fan. Oh sure, I watch football every Sunday, but only because Jeff does. And I have a Patriots sweatshirt, but Jeff bought it for me and I wear it because it’s warm. Even so, I love football. Not for the game itself, but for the food. I’m realizing just now that I’m devoting more energy to this year’s Super Bowl menu that I did to Thanksgiving and Christmas combined. That should probably tell you something about my palate. I’d been thinking for months about what I’d cook if the Patriots made it to the Super Bowl. White clam pizza, baked beans, Parker House rolls, Boston Cream Pie… but now none of those dishes seem quite right. 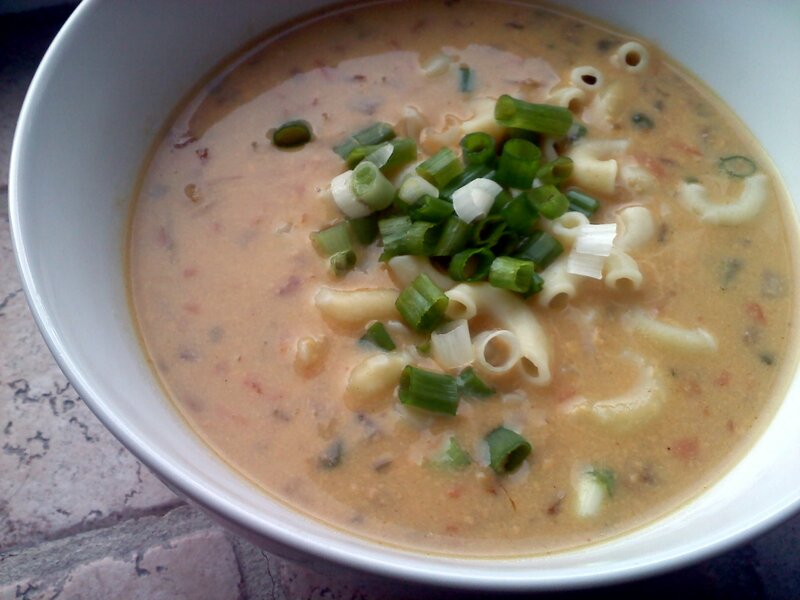 However, beer cheese soup, complete with elbow noodles and a generous sprinkle of scallions, is just the thing. I love Wisconsin Beer Cheese Soup, and I love macaroni and cheese, why not combine the two? 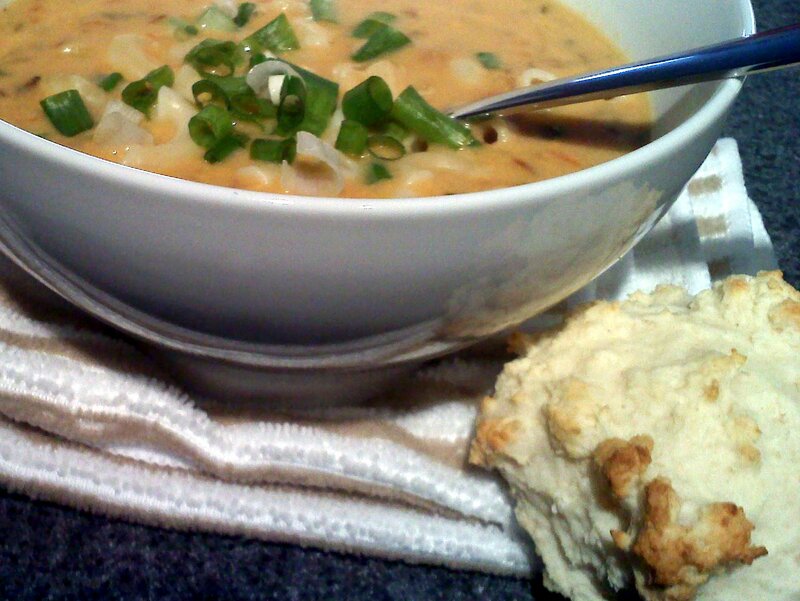 Hearty and rich, this soup feeds a crowd, and will keep well in a crock pot on a buffet table. It’s creamy and cheesy but the hoppy beer cuts through the richness, as does the hint of spice from the jalapeno. There’s plenty of flavor from the Worcestershire sauce and mustard, but I’m a mustard addict so next time I might add an extra teaspoon of it. And if you like more spice, you could certainly add more jalapeno. Be sure to use a beer you like to drink, because the flavor really comes through. I went for an IPA we happened to have in the fridge, and it was lovely. And for you Steelers fans, not to worry, I’m working on a Pittsburgh-inspired recipe too! Cook the macaroni in boiling salted water until al dente. Drain and set aside. Meanwhile, heat the butter in a dutch oven. Saute the onion 1 minute. Add the carrot, garlic and jalapeno and saute over medium-low heat until the vegetables are slightly brown and very soft. Stir in the mustard powder. Add the flour and stir well, cooking for 1 minute. Slowly wisk in half of the broth to form a smooth paste. In a slow stream, wisk in the remaining broth and the beer. Once well incorporated, add in the cheese and stir continuously until melted. Add the milk and Worcestershire sauce and then stir in the macaroni. Season to taste with salt and pepper. Serve topped with a sprinkle of chopped scallions. I really want to say something profound here. I do. But we’re talking about pigs in a blanket. 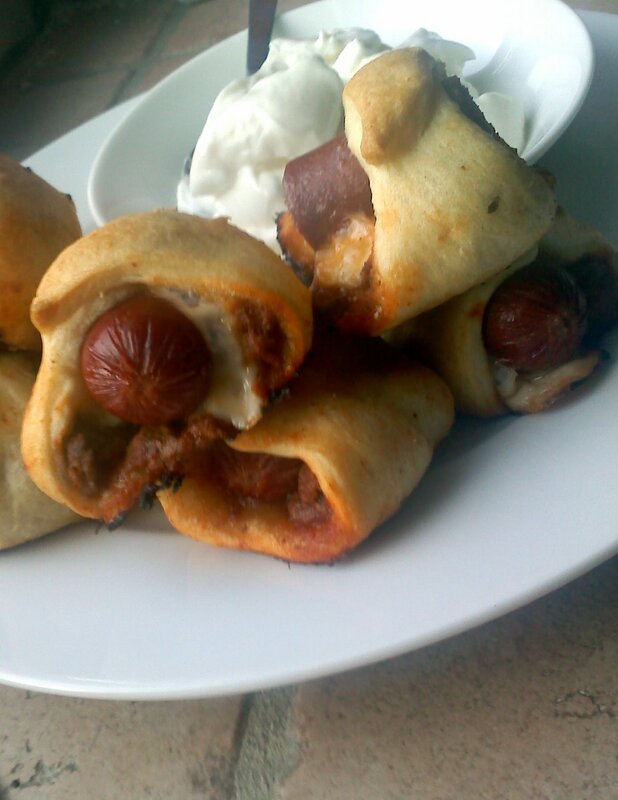 Bits of tubular meat wrapped in pastry from a can. Not profound, not fancy, and certainly not healthy, but very delicious. 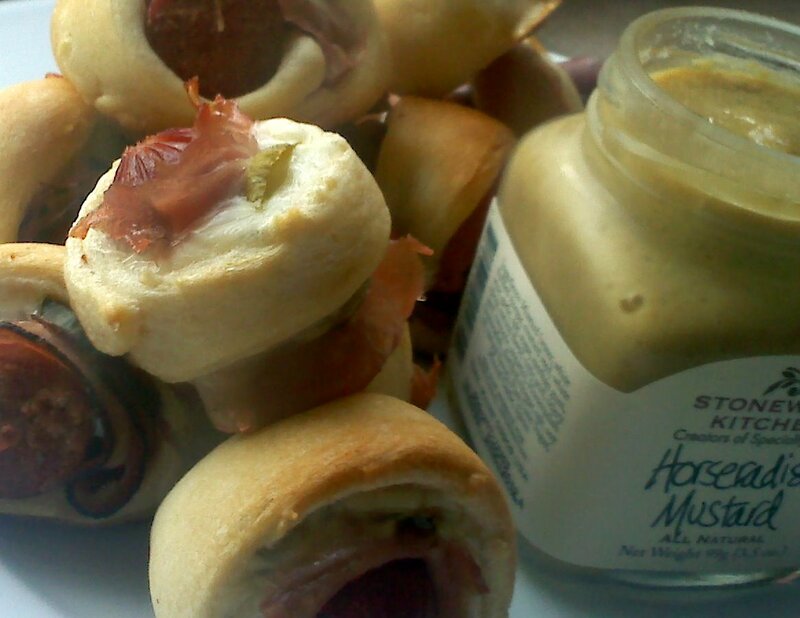 Have you ever been to a party where there were leftover pigs in a blanket? Of course not. They fly off the tray. You may have half eaten bowls of crab dip, a mangled wedge of brie, or a bag of soggy chips, but never a forgotten pastry-wrapped hot dog. No way. Seriously retro and still as tasty as ever, they are a hit from Bar Mitzvahs to weddings to super bowl parties. 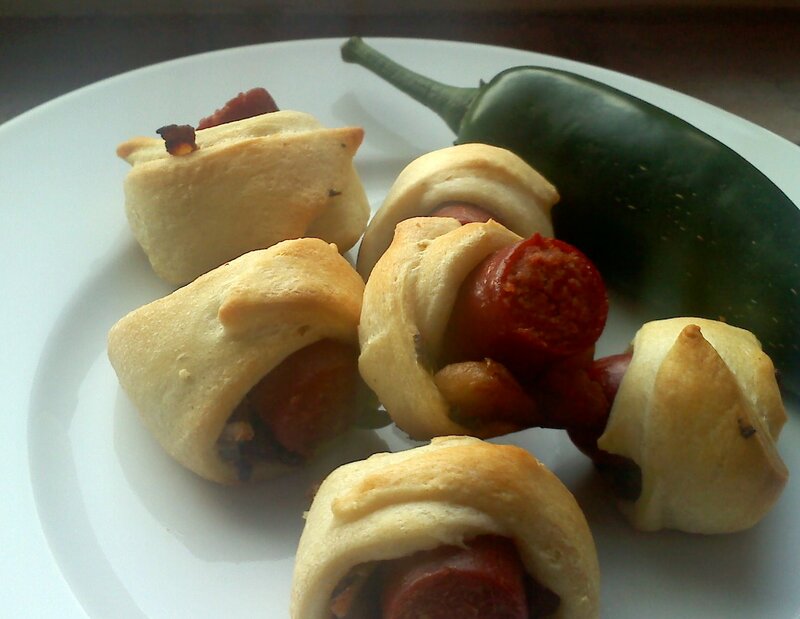 So I’m making a plea on behalf of your super-bowl guests this year: make pigs in a blanket. Please. 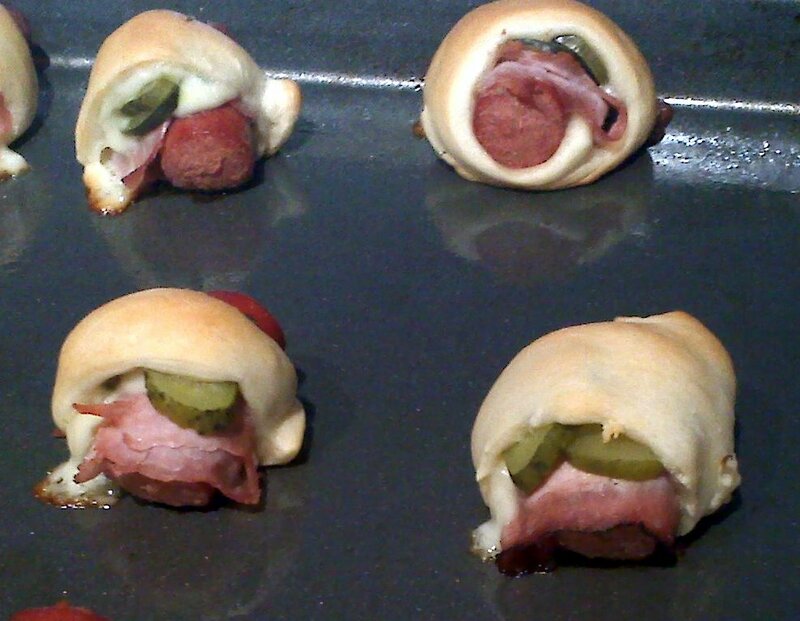 Better yet, dress up your pigs in a blanket and make one of our favorite creations. You put fun toppings on your hot dogs, don’t you? Why not on piggies? Try Cubano Piggies, which taste like a warm and crusty Cuban Sandwich. These are my favorites, but that’s probably because I have a thing for pickles. Or go for Piggies Parmesan, a pastry wrapped bite of chicken parm. Of course, there are Piggies from the City of Angels, filled with jalapeno and bacon and a bit of brown sugar. Sweet and smoky and spicy and wonderful, these are like Jeff’s catnip. And we can’t forget the ultimate piggy: The Super Chili Piggy. Life is not complete without a chili cheese dog. Yeah, that’s my philosophy and I’m sticking to it. Serve ’em with sour cream. Or try your own combos. I’m thinking kielbasa with sauerkraut wrapped in pastry would be yummy served with spicy mustard. Perhaps a piggy with cumin sautéed onions served with a cucumber raita would be tasty. The possibilities are endless! Slice the dough in 24 strips. They won’t be even, but it doesn’t matter. Cut each hot dog in 4 pieces. Make a small slit in each hot dog and stuff with a piece of cheese. Top each hot dog piece with a slice or two of pickle, and wrap with a piece of ham. Wrap with dough and pinch to secure. Arrange the piggies on an ungreased baking sheet. Bake at 375 degrees for about 10 minutes until golden brown. Serve with the mustard. Slice the dough in wide strips. They won’t be even, but it doesn’t matter. Cut each sausage on the diagonal in 1/2 inch thick coins. Place a dollop of sauce and a slice of cheese on each sausage coin. Wrap with pastry and pinch to secure, taking care not to drip sauce. Arrange the piggies on an uncreased baking sheet. 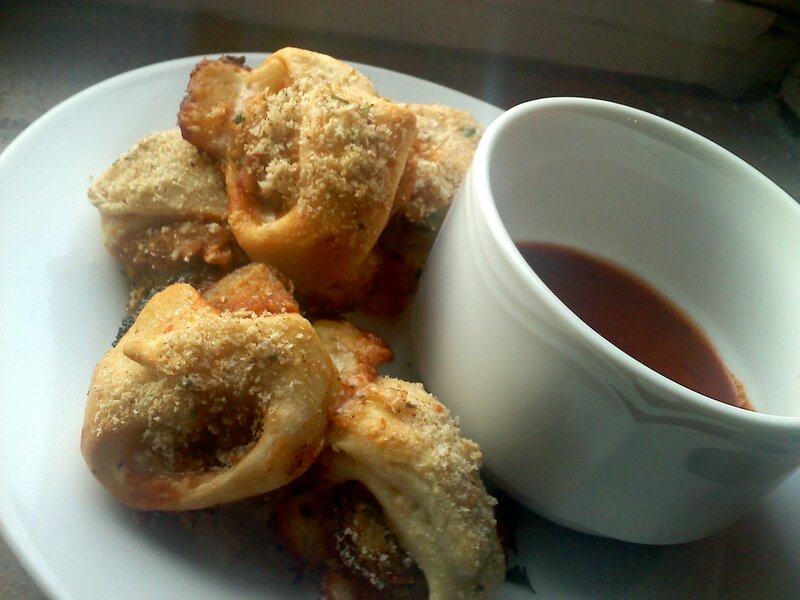 Brush the pastry with melted butter and then sprinkle the piggies with the cheese and breadcrumbs. Bake at 375 degrees for about 10 minutes until golden brown. Serve with additional sauce if desired. In a skillet, saute the chopped bacon over medium-low heat until it starts to brown. Add the jalapeno and onion and cook until the onion is soft, about 5 minutes. Add the sugar and water and stir well, cooking 1 minute more. Remove from the heat and set aside. Cut each hot dog in 4 pieces. Slice the dough into 24 strips, they won’t be even but it doesn’t matter. Spoon a bit of the bacon mixture onto each strip of dough, top with a hot dog piece and roll to wrap, pinching the dough to secure. Arrange on an ungreased baking sheet and bake at 375 degrees for about 10 minutes until golden brown. In a saucepan, brown the beef over medium heat, breaking up with a spoon. Once the meat is cooked, add the onion, garlic and chili powder and cook until the onion softens, about 3 minutes. Add the tomato sauce and reduce heat to low. Simmer at least 15 minutes. 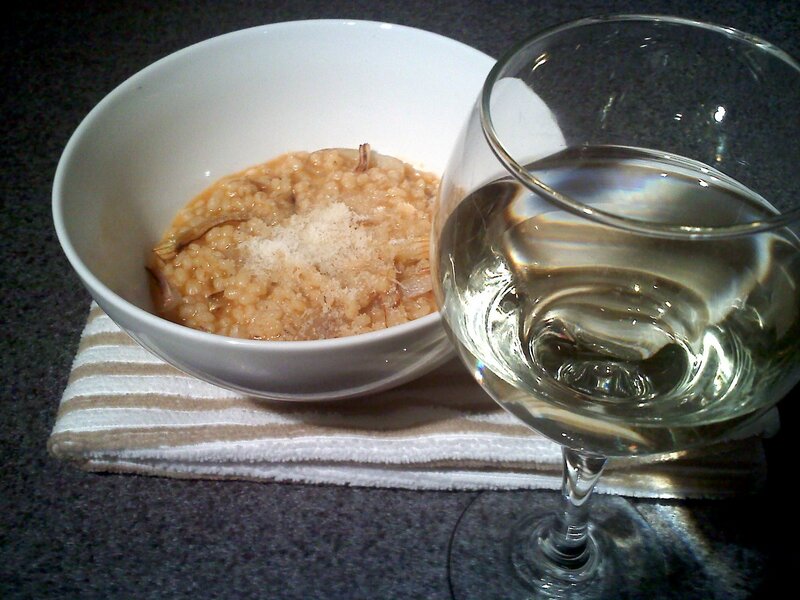 Season to taste with salt and pepper and set aside the chili to cool slightly. Meanwhile, slice the dough into 24 strips. They won’t be even but it doesn’t matter. Cut each hot dog into 4 equal pieces. Cut a slit in each hot dog piece and stuff with a piece of cheese. Spoon a bit of chili onto each piece of dough. Top with a hot dog and wrap, pinching to secure. Arrange on an ungreased baking sheet and bake at 375 degrees for about 10 minutes, until golden brown. Serve with sour cream. Beef stew is one of those chameleon dishes. It’s homey enough for tonight, when the wind is whipping and the snow is falling and all I want to do is curl up on the couch and keep my toes toasty. But it also works wonderfully for dinner parties, since it keeps very well warming on the stove, and looks awfully fancy in pretty bowls. Kids love it, dogs love it, I love it. It’s my little black dress in the kitchen, as it pretty much works for any occasion. And there are a million variations on the theme. I’m a big fan of the classic Boeuf Bourguignon, of course. And who can resist a hearty Irish stew, chock full of potatoes and served with a Guinness? I love to dress up beef stew occasionally with smokey chipotle chilis and a pinch of cumin. 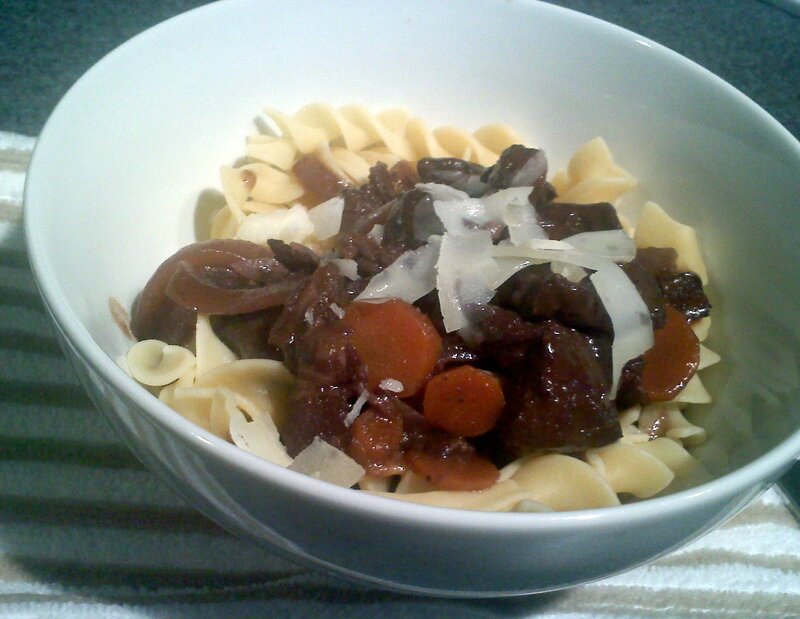 But for a weeknight, this Chianti Beef Stew is my go-to comfort food. Rich, deep wine flavor and tender chunks of beef melt in your mouth. And the noodles are a must. 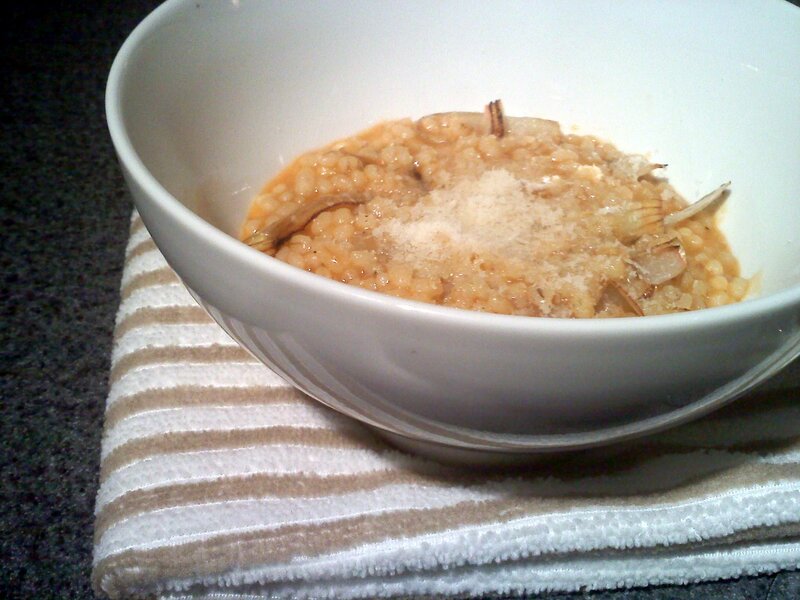 The gravy coats the pasta, stretching the flavor, extending the pleasure. In a large pot over medium heat, cook the pancetta until crisp. With a slotted spoon, remove the pancetta to a paper towel lined plate and set aside. Add the onion, garlic, and carrots to the fat in the pot. Add salt and pepper and cook until vegetables begin to soften, about 5 minutes. Remove the vegetables to a dish and set aside. Add the butter to the pot. In a small bowl, toss the beef with the flour and salt and pepper. Add the beef to the pot. Cook, undisturbed, for two minutes to allow the beef to brown. Move the beef around for a minute or two to allow for some browning on all sides, but do not cook through. Stir in the tomato paste and cook one more minute. Add 1/4 cup wine to deglaze and stir, scraping the bottom of the pot to bring up all of the caramelized bits. Add the remaining wine and broth. Stir the pancetta and vegetables back into the pot. Reduce heat to low and simmer, stirring every so often, for 45 minutes to an hour. Serve the stew over pasta and topped with cheese. * I typically buy fresh papardelle at DePasquales Pasta Shop a few streets over, but given the blizzard conditions, I improvised with a bag of simple egg noodles, and turns out, egg noodles are a very tasty stand-in! My husband has a knack for gift-giving, but I’m not talking about flowers or diamonds. He knows that, to me, the popcorn popper he bought for Christmas is so much more exciting than any trinket. Thoughtful and sweet, his presents are enough to make up for the fact that he shrunk all of my delicates this week! My own fault, of course, for suggesting he take a stab at the laundry. After I discovered that all of my underthings had taken a trip through the hot dryer, and was reasonably cranky, he made up for it with marshmallows. Yeah, I’m easy to please. But he knows how much I adore cocoa during a snow storm, and a mug of cocoa is not complete without a handful of mini marshmallows. Appeased and armed with pounds of popcorn and mountains of marshmallows, I dove into a sticky, gooey mess. Popcorn balls are fantastic fun. Playing around with tacky marshmallow drizzle would make for a great diversion for little hands. And since you’ve got to work quickly to make the popcorn balls before the marshmallow hardens, I suggest a little help anyway. 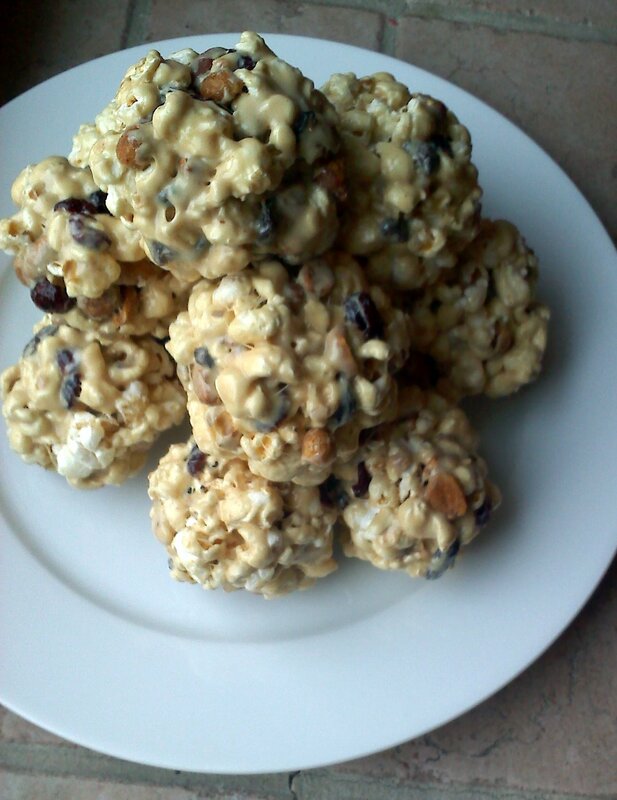 You could certainly use any kind of dried fruit you like here, although the raisins and dried cranberries I had in the cabinet added just the right amount of chewy sweetness to the popcorn balls. And if honey roasted peanuts aren’t your thing, cashews might be fun. 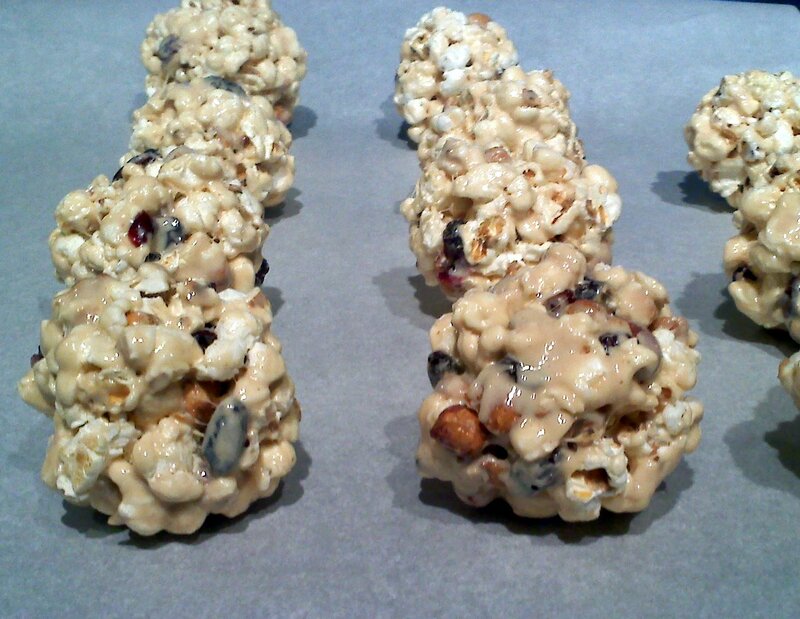 You could even go for almond or cashew butter instead of the peanut butter. Basically, all of these ingredients are just suggestions, so get creative. Next time I think I’ll add a few chocolate chips. Although perfect for snacking as is, if you make smaller popcorn balls you might enjoy them as part of a football Sunday spread. When was the last time you had a popcorn ball? Decades, I’d guess. Your friends will get a kick out of the nostalgia! 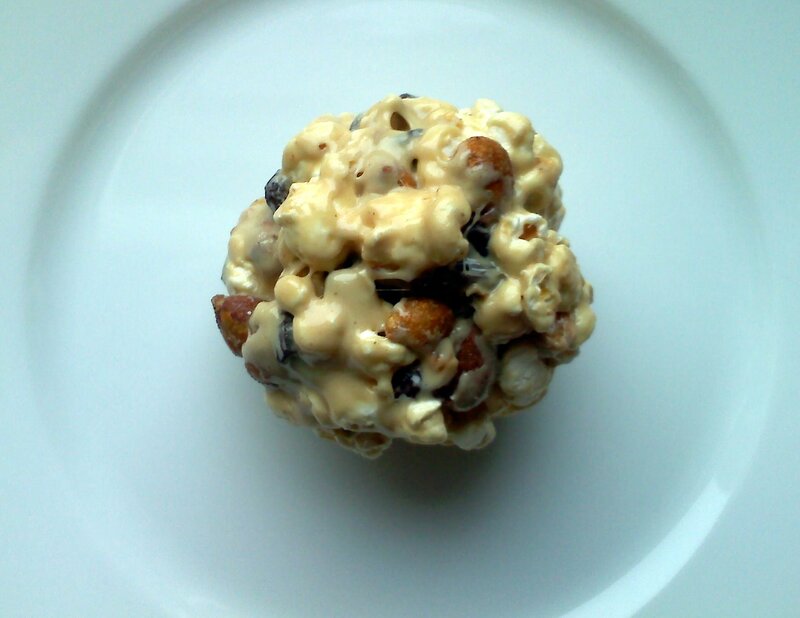 Popcorn balls might also be a fun hostess gift all wrapped up with a bit of ribbon. 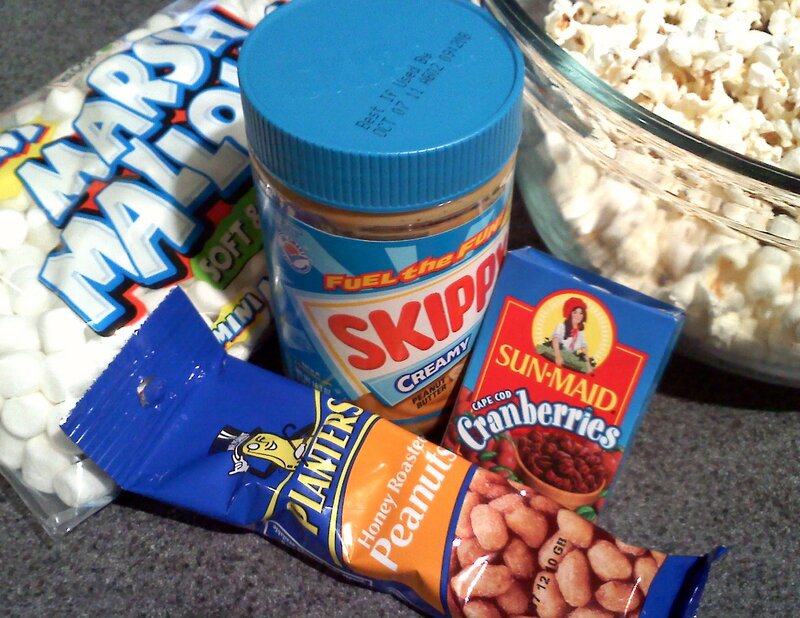 In a large bowl toss together the popcorn, dried fruit, peanuts, and salt. In a large pot melt the butter over low heat. Add the marshmallows and cook, stirring, until melted. Add the peanut butter and stir until smooth. Pour the marshmallow mixture over the popcorn mixture and incorporate quickly. Spray your hands with nonstick cooking spray so that the mixture doesn’t stick to your hands. Working very quickly, form the mixture into 2-inch balls. Place popcorn balls on parchment paper to harden for at least 30 minutes. Usually about this time of year I’m deep into deprivation mode. Eschewing ice cream, banishing butter, avoiding alcohol… not fun. But 2011 will be all about fun. If I learned anything in 2010 it was that life is about living in the moment. Why put off for tomorrow would could be fun today? This isn’t an easy lesson for me. I’m a planner at heart. My husband jokes that I have more fun planning a vacation than going on vacation. But life is full of uncertainties, so this year my New Year’s resolution is simply to enjoy. To enjoy everything, especially food. I pledge to savor each and every bite as if it were a chocolate truffle. You know the way you pay attention, really experience a morsel of quality chocolate? Or the first sip of a full-bodied Cabernet? Roll it around in your mouth, enjoy the aroma. What if you could devote that much attention to each and every bite? When was the last time you really tasted a whole meal? Maybe you take the time to appreciate the first bite, or even the second, but before you know it the sandwich is gone and your belly is full. Which is why 2011 is all about the pleasure of food. The mindful enjoyment of dining is taking a bit of adjustment for us. Jeff isn’t thrilled about no longer eating in front of the television (except popcorn, which is so much more fun when accompanied by a movie). But dinner at the table, with candles and wine, feels wonderfully decadent. 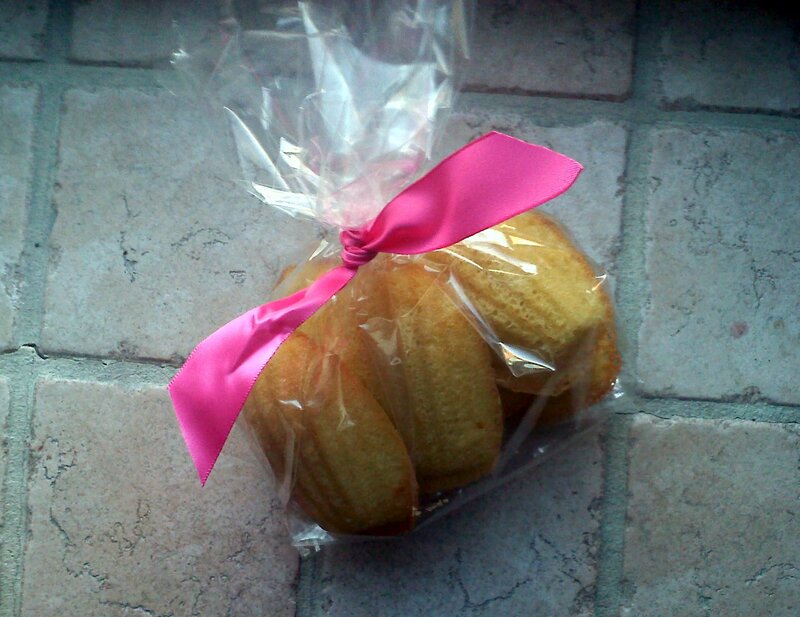 As do these adorable petites madeleines. These simple little cakes are the poster child for mindful eating. 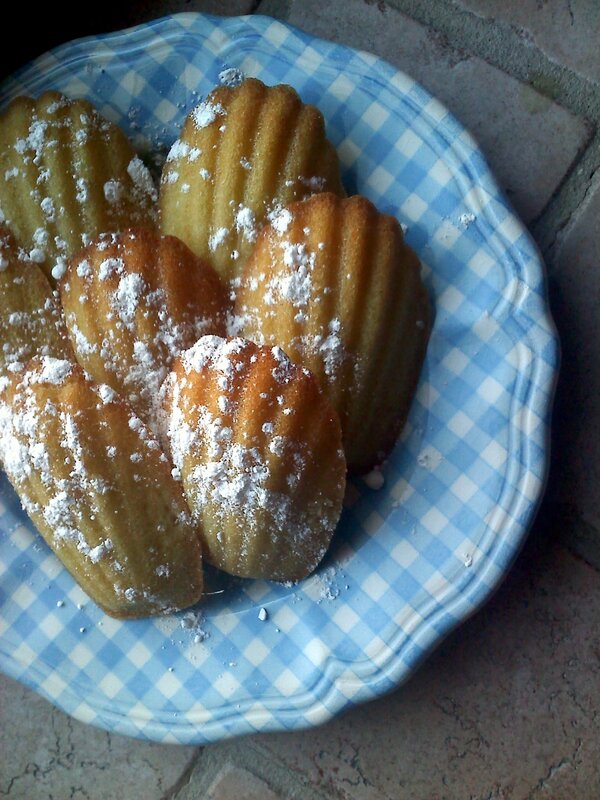 Has any bite ever been more examined, more considered than Proust’s tea-soaked madeleine? If the feel of soggy cake on the tongue brought about a memory powerful enough to rock the literary world, imagine what paying a bit more attention to your supper might do for you. I love the faint floral aroma of these tea cakes. The orange flower water enhances the sensory experience of the madeleines, and the pleasure of the snack. Delicate, spongy cake, beautifully crowned with browned scalloped edges makes a wonderful tea-time treat, or a cute gift tied with a ribbon. 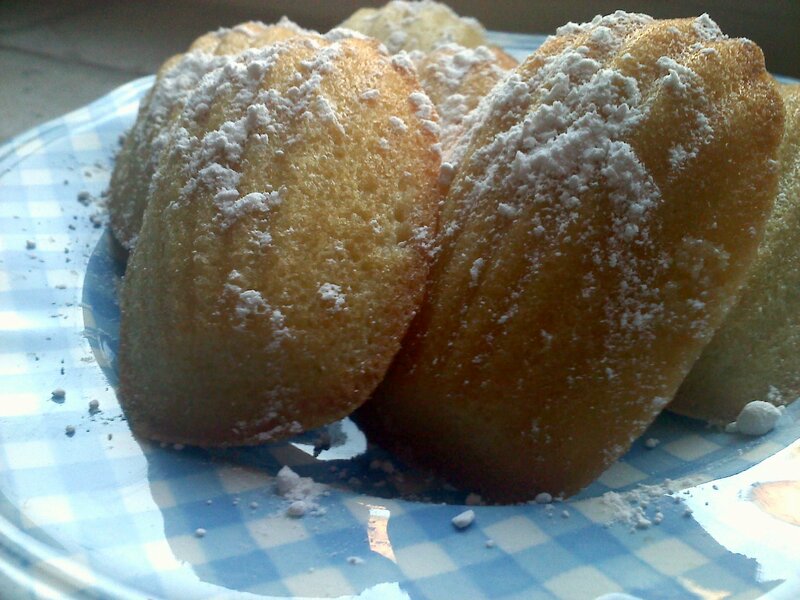 While you will need a madeleine pan (with scallop-shaped depressions), there is really no trick to these cakes. Simple ingredients make for simple flavors and an honestly pleasurable experience. Food doesn’t have to be fancy to be fully and completely enjoyed. 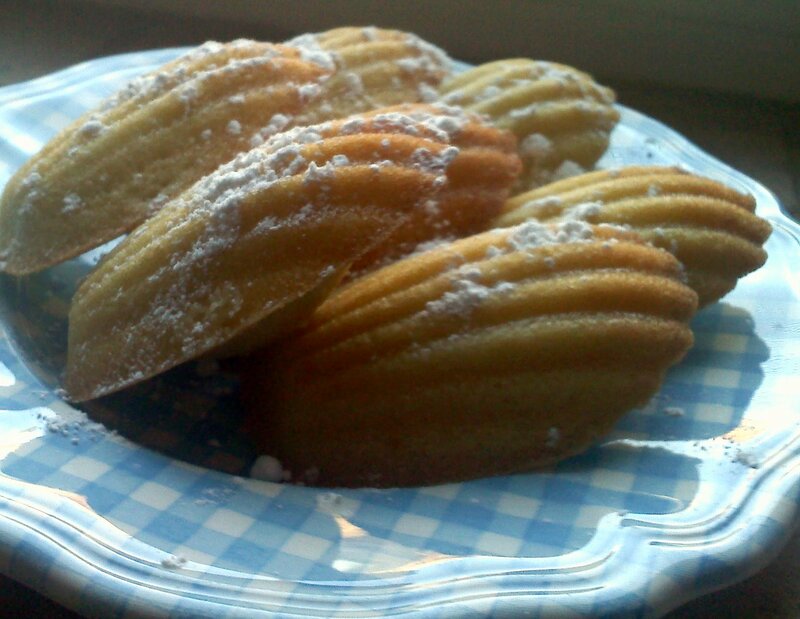 Enjoy these madeleines; have fun making them, have fun eating them. And savor every bite of 2011! Preheat the oven to 350 degrees. Spray the madeleine pan with the nonstick cooking spray. Sift together the flour, baking powder and salt. Using a wisk, whip the eggs, orange extract, and orange zest until very frothy. Gradually beat in 1 cup of powdered sugar, until the mixture thickens slightly. Stir in the melted butter and then fold in the flour mixture. Fill the madeleine cups about 3/4 full. Bake about 8 minutes until the edges are lightly browned. Remove from the pan with a butter knife and cook on a rack. When cool, dust with remaining powdered sugar.